There are many console game players who were never able to enjoy the original Crysis. Understandable, as it was solely for PC gamers with only the most mighty of processors, still four years have gone by and lessons learned from creators Crytek's Cry Engine 3 means the once GPU dissolving shooter can be transferred to the 360 and PS3. Time hasn't decreased its visual effect, and although not as imposing as its sequel, it still makes for lovely viewing. Be aware though, your hard drive will definetly need to have plenty of space, The First person shooter is going to take up over 6GB of it! 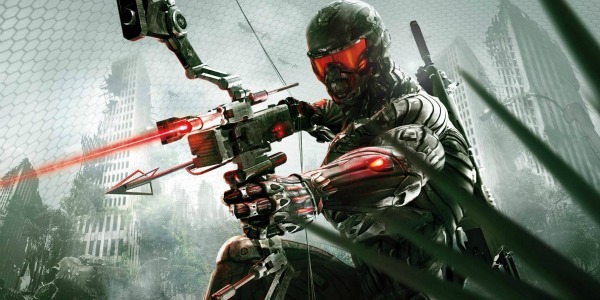 For those of you new to the franchise, Crysis goes on the trail of a crack team of nano-suited super soldiers who go for a customary search and rescue mission on an island in the South China Sea. Naturally, this 'routine' turns out to be lots of Korean People's Army (KPA) soldiers and a group of nasty old aliens. Despite being totally outnumbered, things are tilted slightly back in your favour thanks to a suit that enables you to cloak, run extremely quickly and leap great heights. However, even if you thought you were a dab hand at destruction in Crysis 2, you will find that the original title is far from a walkover. You might feel like Predator stalking prey from the undergrowth, but the apparent binocular sight of the KPA will mess you up. Such an open location and limited power interval means mastering guerrilla warfare is the only way to stay alive. Crisis still remains an intense, challenging and awe-inspiring shooter, even if critics have mentioned they may just be a little upset that multiplayer has been left out. Definetly an experience well worth the money you pay for it. If you enjoy first person shooting games, then this is certainly one you will enjoy. Don't forget, if you have your eye on buying Crysis, the perfect way to find out more information on prices is to check out a game price comparison site. Here you will be able to view the prices for the game from more than one games store. This is great as it will enable you to save time as you wont have to venture out into town and visit numerous different stores to find the most appropriate price for the game and a game price comparison site can help save you some good money. Also, it is the ideal place to pre-order your copy of the game if you do want to go ahead with obtaining the game. Once you have have found the best price, you can then just go straight through to the online vendor and make your order.